From full customization to copy/paste simplicity, add payments to your site or software whatever way works best for you. You read that right. 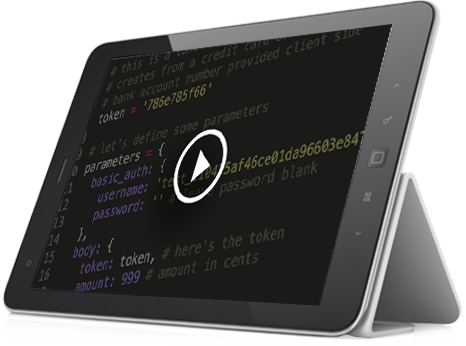 Our developers know not everyone has the technical skill to easily add a payment solution to a website. 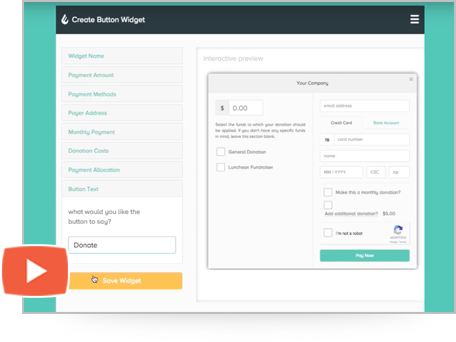 So, we’ve created the PaymentSpring Checkout Widget that lets you create exactly what you want, exactly the way you want—quickly and easily. And, all your payments are managed through PaymentSpring Gateway. Create in minutes by answering a few quick questions. Take cards and bank account payments. Customize your payment experience with our API integration. Our developers work hard to simplify your payment processing and fund management from the jump—which is where the payment gateway’s REST API and supporting developer docs come in to lay the foundation for fully integrated, user-friendly solutions. Things like e-invoicing, recurring payment plans and WordPress add-ons are designed to help navigate the complexities of PCI compliance, reporting and integration so you can more effectively run your business or nonprofit. Know everything with webhook monitoring. Place your thumb directly on the pulse of transaction activity with customizable webhooks monitoring. These automatic notifications are delivered to you in real-time, and you can set conditions to be as granular or overarching as your heart desires. Combine multiple condition triggers for targeted actions along with single-point action triggers to monitor trends and stay ahead of anything that might cause a problem if left unattended. Get payment plugins for WordPress. PaymentSpring’s Gravity Forms and WooCommerce plugin integrations are as simple as can be. They allow you to accept payments and/or set up e-commerce functionality without needing to fully integrate the API to your website. Customer info can be saved in our secure vaulting system for future transactions. One-time payments are quickly and securely processed in your payment gateway.  Recurring payment plans can be added to customers’ stored profiles—basically, set it and forget it. Integrate PaymentSpring Gateway in 30 seconds. You read that right. A full payment integration can take as little as 30 seconds. And our easy to install plugin integrations can be completed in a few clearly outlined steps. 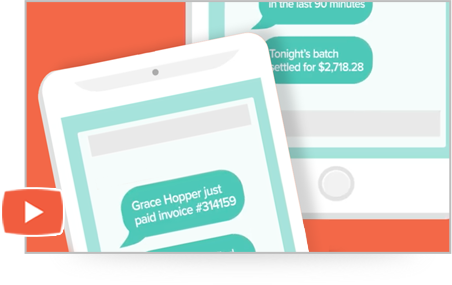 Send e-invoices directly from your dashboard. Snail mail invoicing is…wait for it…a slow turnaround and can require multiple follow-ups on your part before receiving payment. Cut that turnaround time down significantly and make it easier for your customers and donors to submit payments electronically with PaymentSpring’s e-invoicing. Pre-populate invoices using stored customer data. Add as many line items as you need. 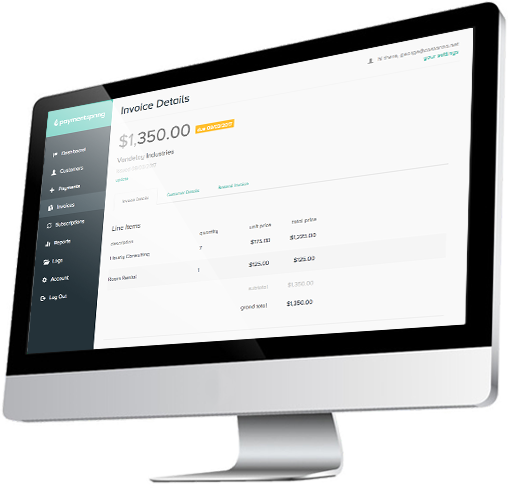 Let customers pay online right from the invoice. Identify paid or unpaid invoices. Accept full or partial payments. Securely create a custom e-invoice through your dashboard’s “invoices” tab or send it directly from a premade customer profile with one click. Also known as subscription billing, this handy set-it-and-forget-it merchant services function makes it easy for customers and donors to regularly provide their payment or donation to you on a predictable schedule. Our recurring payments come with flexible payment options and no additional software fees. Try it free to see just how simple processing recurring payments can be. Bonus—recurring payments can be utilized via your full REST API integration or through our quick and easy plugin integrations for WordPress. There’s something a little tried and true about merchant services’ stand-alone, point-of-sales transaction terminals. 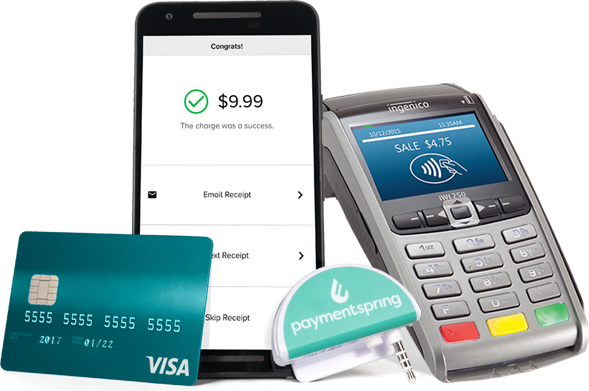 Ours let your customers and donors swipe, chip or use their phone to pay or donate. Take a closer look at the impressive tools Gateway provides to businesses and nonprofits across the country.